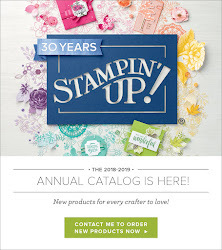 It' Stampin' Palooza registration time! Come help us celebrate our one year anniversary. Yes, can you believe it's been a year since the first Stampin' Palooza. We are going to celebrate with a bang. Projects, give a ways and games. Can't give you all the details, because I don't want to spoil the surprise. Sign up now!! Remember to get the free item in your swag bag sign up before may 15th. Also!!! If you invite someone new you will receive a special gift. 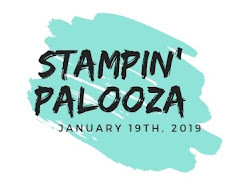 You can find all the details about Stampin' Palooza, the registration form and the pay pal button HERE! 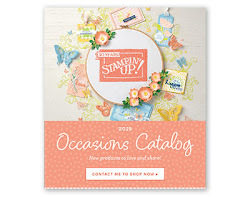 I also wanted to let you know that Stampin' Up has updated the clearance rack. Lot's of new items. There are 3 bundles to choose from the Share What You Love Suite, each include different free products, each includes stamps and one of the new In Color inks, and the biggest ‘Gotta Have It All’ bundle. You will also be able to get the new In Colors, and items in the A' La Carte section. Click here for the pdf flyer with all the information.